REPUBLIKA.CO.ID, China Daily newspaper criticized the attitude of the United States related to Iran's nuclear program and writes, "Should we say clearly that the United States does not want to stop the Iranian nuclear issue after its interests in the Middle East." 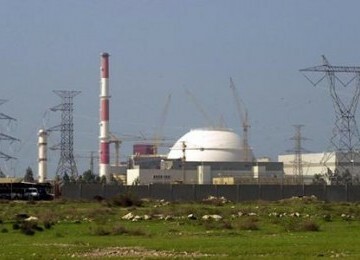 Fars News said in a report on Iran's nuclear and Moscow talks, China Daily writes, "No wonder if the latest talks in Moscow are not achieved the progress and development and if we want to speak clearly so that no party to the negotiations go as a key interest of Iran and the United States strongly emphasize this point. " "In essence, the problem is not related to Iran's nuclear non-proliferation, but rather reflect an attitude of mistrust between Iran and the United States." The Chinese government affiliated newspaper asserted that the United States is pressing for changes in the Islamic Republic of Iran to nuclear technology and the American state also makes a global controversy over the Iranian nuclear issue. Based on reports China Daily, the United States which in 1957 also signed a nuclear deal with Iran to compete with the Soviet Union. In 1963, Iran signed a limited nuclear test ban and in 1968, Tehran signed the Nuclear Non-Proliferation Treaty (NPT). However, Iran and U.S. relations soured after the Islamic Revolution in 1979. Related to whether Iran is capable of producing a nuclear bomb, the China Daily said in its report, "Not as claimed by the United States. To produce an atomic bomb, which had enriched uranium needed to 90 percent, but Iran is enriching uranium only up to 20 percent for purposes of treatment . " Not only that, even there were many doubts about Iran's intentions and plans to produce weapons of mass destruction, because neither side can know for sure whether Iran intends to produce nuclear weapons. "What is clear is that Iran is to emphasize the independence and sovereignty." The agenda of the United States has noted that the Iranian nuclear crisis should continue suggested as a threat and the purpose behind this effort is to prevent Iran's progress in the nuclear field. Through this way, the United States wants to maintain the dependence of the Middle Eastern countries into buying weapons from the United States and also to preserve its military bases in the region. Elsewhere, China Daily mentioned that the United States can not punish China and Singapore for their trade cooperation with Iran because Washington does not want to face to face from all sides.